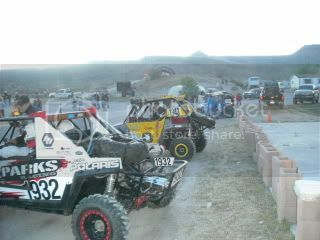 Buggies Gone Wild Golf Cart Forum > General Discussion > Side x Sides-ATV-Quads-Bikes-Jeeps-4x4's! Side x Sides-ATV-Quads-Bikes-Jeeps-4x4's! Side x Sides, ATV's, Jeeps,4x4, Bikes, Quads, and everything else. 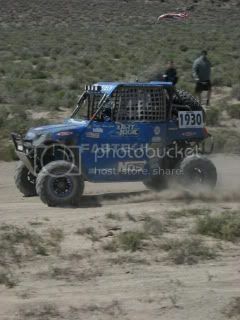 I was given a golden oppertunity to be part of a race team this past weekend. I was running the chase/pit truck for a buddy that race's his side x side. My son in law raced #1912. Ran out of money and sold all his race stuff. I'm sure his new car and the old one are out there running for somebody. He had a great time before the gravy train ran out. Tom has tons of T-shirts from all the races. He drove their chase truck. I saw him out there.He was fast,Pretty sure he finished top 3,maybe even 1st. Tom had a blast, no question. 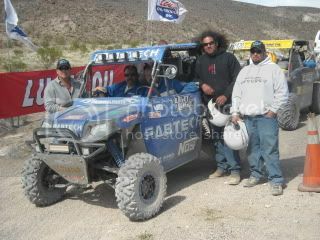 The Vegas to Reno race was grueling but they loved it. Too bad the money ran out but the entry fees and radios and gas and paying for the crew.. Average race cost was $5000... would of been fine before the construction industry tanked. Here's the links to a couple of my threads I started when they were still racing. I wouldn't be surprised if he won or was in the top 3. He is a tough contender and a top notch fabricator. His Snowmobiles and snowmobile parts are legendary in that industry. 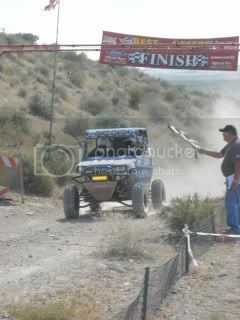 That's my buddy in the blue razor in the background.. This stuff is awsome. I did a run from Barstow to Laughlin about 7 years ago with some friends in a Buckshot X5....actually 3 of them, some other misc. buggies and a bunch of bikes. Coolest trip I ever did! 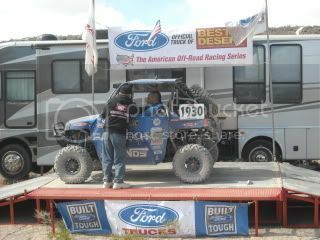 70+ mph through the mojave terrain that would intimidate even the toughest 4x4 pickup truck! These guys were bad to the bone, they would do major damage to the car, everyone would stop, have a beer, and they would fix the thing like a Nascar pit crew! Very cool stuff. Wish we had something like that down south. We attempted the Vegas to Reno last weekend..